SAN ANGELO, TX -- Recent rains over already saturated ground have poured millions of gallons of runoff into area lakes. Twin Buttes Reservoir has doubled in size in two days. According to waterdatafortexas.org, on Saturday, Twin Buttes was 5.3 percent of capacity or had 13,509 acre feet of water. 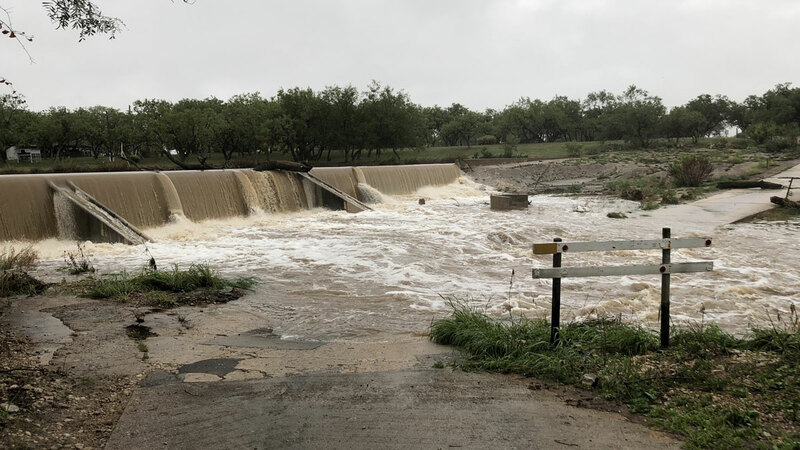 On Monday, Twin Buttes sat at 10.2 percent or 22,419 acre feet of water with the South Concho River still flowing into the reservoir along with creeks and streams from the watershed. One week ago, Twin Buttes was only 3.6 percent of capacity at 10,378 acre feet. Conservation capacity at Twin Buttes is 182,454 acre feet. Bring more of rain water sheds!! Cant get enough of that wet slippery stuff. It would be great to see Buttes and north lake full again. These lakes are due for some resurrection of sorts.